The Original Four Winds has been in operation for 20 years in the same gambrel roof barn since the beginning. Our goal has always been to take good care of our customers and to keep them coming back! It's clear that good customer service is important to our business, but making sure that we're selling the freshest seafood is vital. John's 17 years of experience on a fishing boat means he knows the business well! Freshness is assured by the fact that he's sending his drivers to South Bristol Harbor almost 5 days a week to pick up your lobsters, clams, shrimp, and scallops. We love our customers and we are happy to see returning faces each year. Let us cook your next lobster bake for free. Oh, and don't forget, we've got melted butter too! The South Bristol Fisherman’s Co-op, our source for lobsters and other seafood, has been a cornerstone of the small fishing community since the 1970s. The 35 fishermen of the Co-op provide us with the freshest seafood around! 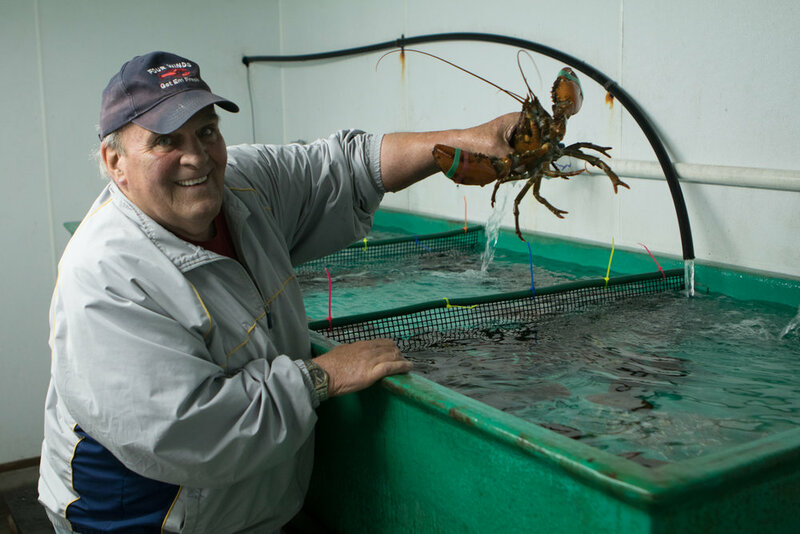 Maine is home to more than 4,800 licensed lobstermen. These lobstermen represent fishing traditions that go back more than one hundred years. They head to sea each day as their parents and grandparents once did, bringing their catch to shore. we cook 'em for free! We know that not everyone has a stock pot big enough to cook multiple jumbo lobsters. 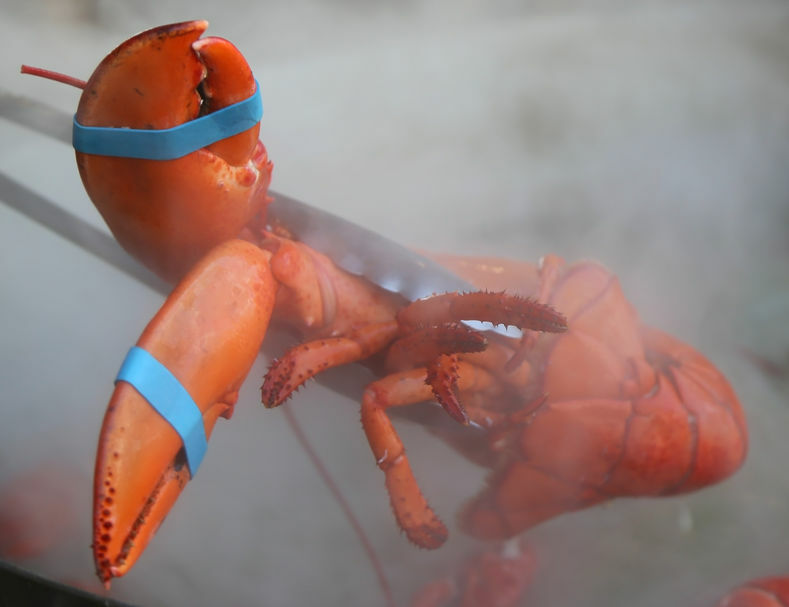 So, let us boil your lobsters and clams to perfection in our outdoor boiler system. Let us know when you call in your order, and we'll have them ready to eat! Click on the video above to see Pat in action at Four Winds Redemption Center. Since the "Bottle Bill" was enacted in 1978, Maine's roadside's are no longer littered with empty beverage containers. Motivated by the refundable deposit, we now recycle over 90% of our bottles and cans at convenient redemption centers like The Original Four Winds. are you the original Four winds? Yes! We are the company you have grown to trust for 2o years. John and Pat Elsman have been operating The Original Four Winds Lobster Co. and Redemption Center out of our distinctive barn with the gambrel roof all these years. If the lobster sign is out, we're selling! can you cook the lobsters for us? Yes! We are happy to steam your lobsters and clams for free. We do! You can always call us at (207) 897-4526 or check our Facebook page for pricing. are you associated with the business, Four Winds too? No we're not. We understand this might create a confusion for some of our customers. We apologize if you've had any frustrations because of the common business name. Grab a free magnet for the fridge next time you're in. That'll help you remember the Original!